Scott Drew built Baylor up from the ashes and doesn't get the credit he deserves. Scouting Central Michigan's Marcus Keene, the nation's leading scorer. Is there a quick fix for Syracuse's early season struggles? Note: Seth Davis will periodically answer questions posed to him over Twitter, Facebook and emails sent through SI.com. Be sure to check out his Hoop Thoughts column every Monday and to send questions during his Twenty for Tuesday Q&A on Twitter at @SethDavisHoops. Trolls not included. Questions may be edited for clarity. You might say that Scott Drew is having his moment. I might say it’s about time. This has been a running joke for me on Twitter. When Baylor gets a big win, I will often write, “Another bad day for the ‘Scott Drew can’t coach’ crowd.” Because it amazes me how many people are in this crowd—or at least, used to be until this season, when Drew has the Bears off to an 8–0 start and ranked No. 4 in the AP poll. Even more remarkable, half of those eight wins came over teams that are either currently ranked or were at one point this season: Oregon and Xavier at home; Michigan State and Louisville in The Bahamas. 1. Drew is not doing this with a bunch of elite recruits. Yes, he has had a few marquee signees like Quincy Miller and Isaiah Austin over the years, but mostly Drew has accomplished this record with second-tier recruits who have developed under his watch. Its current best player, 6' 9" junior forward Jonathan Motley, is projected to be a second-round NBA draft pick by draftexpress.com and was not even ranked among the top 150 of his high school class by rivals.com. Its second-leading scorer, 5' 11" junior Manu Lecomte, transferred from Miami because he couldn’t beat out Angel Rodriguez at point guard. During his entire tenure at Baylor, Drew has had exactly three players who were chosen in the first round of the NBA draft, although Austin most likely would have been a first-rounder had he not been diagnosed with a serious illness. Yet somehow, a narrative developed that Drew’s teams underachieved. If anything, they’ve overachieved. This one looks to be doing the same. 2. Baylor had zero winning tradition before Drew got there. The school had been to just four NCAA tournaments in its entire history before Drew’s arrival. Four! And it had made just one tournament since 1950. Even if Drew had gotten his team in to the tournament every other year and never won a game, that would have been a serious upgrade. What Drew has done at Baylor is absolutely astounding, especially when you consider that. . . .
3. He took over a program that had been destroyed by one of the worst scandals in college basketball history. It’s hard to believe that 13 years have passed since Baylor forward Patrick Dennehy was murdered by his teammate, Carlton Dotson, who was in the throes of mental illness. That tragic sequence, which made national news, led to the unearthing of major NCAA violations under then-coach Dave Bliss. Baylor got rid of Bliss, but it still had to deal with massive penalties. The worst of those was a prohibition against playing any nonconference games during the 2005­–06 season. Here’s the one detail people forget about this: That season with no nonconference games was Drew’s third year at Baylor. So he had already been there for two seasons, scraping and clawing and trying to rebuild, and then he had to deal with waiting until January to coach his first game. You can imagine how challenging it would be for any program to rebound from something like that, much less one that had so little basketball tradition to build on. Yet, Drew has managed that adversity and brought the program to new heights, where now we routinely see Baylor near the top of the rankings and Big 12 standings and don’t blink an eye. Hoop Thoughts: Should men's college hoops switch from halves to quarters? That Drew would still be subjected to fan sniping is actually high praise. It is the type of criticism that only the really good programs get, because once you get to be really good, it is never quite good enough until you win at all. I also suspect some of the criticism has come from Drew’s personality. He is always polite and positive and ready with a smile. People wonder if he’s for real, or whether there’s a sneaky Eddie Haskell streak lurking below all that good cheer. Drew also did not help his cause early in his tenure when he was caught sending a flier to prospects with images of himself, Bob Knight and Billy Gillespie (the then-coaches of Texas Tech and Texas A&M respectively), under the question “Which one of the Big 12 coaches has signed a McDonald’s All-American?” There was a red X through the other two pictures. That led to then-Texas coach Rick Barnes calling Drew out publicly for his recruiting tactics. We should keep in mind that when Drew took over the Baylor job he was 33 years old and had exactly one year of head coaching experience. That was at Valparaiso, where his father, Homer, had been the head coach for 22 seasons. 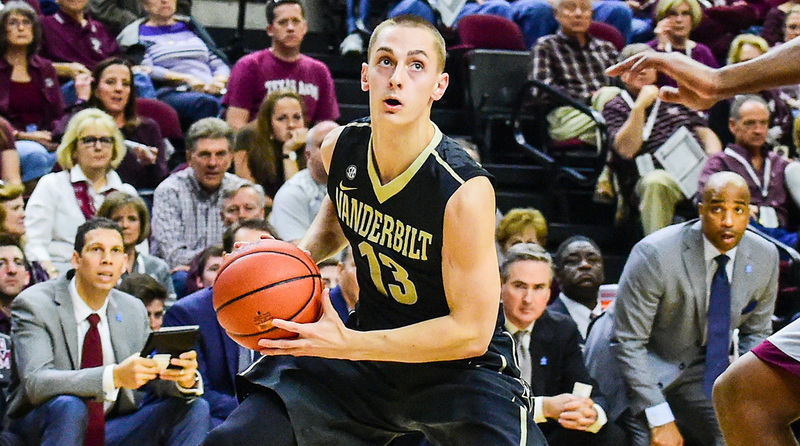 Drew's brother, Bryce, played at Valpo, coached there and is now in his first year as the coach at Vanderbilt. So Scott was raised in a basketball family, but there is no way he could have been fully prepared for what awaited him in Waco. And there is no way any of us could have expected that he would have built this program to where it is today. Yes, the basketball program’s ascent has benefited by a steep commitment by the university to invest in athletics, which has led to its football program becoming a national power—and which is now finding itself wilting under the hot spotlight of scandal. But any way you look at it, Scott Drew’s work at Baylor has been not only remarkable, but also unprecedented. It’s nice that he is finally having his moment, because I suspect there will be many more such moments to come. Now on to the rest of the bag. . . . I suppose this is not quite as bad a time for the “Lorenzo Romar can’t coach” crowd. Romar has the potential No. 1 pick in the NBA draft in freshman guard Markelle Fultz, who is off to an amazing start while averaging 22.7 points (on 54.9% field goal shooting, 48.1% from three-point range), 6.7 rebounds, 6.6 assists and 2.1 steals. Yet, the Huskies are just 4–3 with a home loss to Yale and, in a scheduling quirk, two losses to TCU. So on the heels of last year’s Ben Simmons debacle at LSU, we could be looking at the second year in a row where the No. 1 pick does not even make the NCAA tournament. Catching flak comes with the territory when you are a head coach, but I really do think this is unwarranted. In the first place, Romar—and especially his assistant Raphael Chillious—deserves a huge amount of credit just for signing Fultz in the first place. Fultz played high school ball at DeMatha Catholic in Maryland. Chillious spotted him early and developed a relationship, so by the time the big boys came calling, Fultz was already sold. Romar has always been an excellent recruiter, and he has also signed arguably the best player currently in high school in Michael Porter Jr. Romar hired Porter’s father to be his assistant, so if Washington has any ideas of replacing its head coach, then it is likely that it will lose out on Porter as well. But the main reason I think this criticism of Romar is unfounded is the fact that he lost two freshmen to the NBA draft last season in Dejounte Murray and Marquese Chriss. Maybe Kentucky, Duke and Kansas can easily replace multiple one-and-doners, but it is nearly impossible for a place like Washington to do it, especially when nobody had any inkling going into the season that those guys would even be considering that option. Still, the facts are the facts. Washington has not played in the NCAA tournament since 2012. It has not reached the Sweet 16 since 2010. 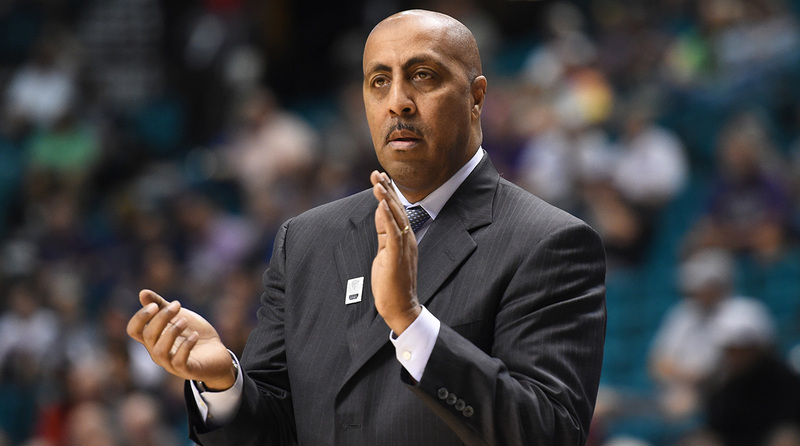 Romar has earned a lot of runway because he is an alum and his teams have been mostly competitive. He has been the coach at Washington for 14 years, which is an extremely long run in today’s game. Given that record, and given that Porter is on the way, I highly doubt that the school would jettison Romar even if the Huskies don’t make the NCAA tournament this season. But it would obviously help his cause if he could figure out a way to get Markelle Fultz into the dance come March. He sure is little! . . . Lets it fly . . . His green light has a green light . . . Really quick in the open floor, hard for defenders to keep him in front . . . Sees the floor extremely well, looks like a point guard, but has tendency to force the action and commit unforced errors . . . Team might be better off if he scored less and passed more . . . Do not let him catch and step into a jump shot in rhythm, even if it’s deep. He’s cash . . . Can shoot off the dribble, likes the high screen and roll, but will take too many dribbles hunting his shot around the perimeter . . . Pounds the ball too much . . . He sure shoots a lot, and they sure do go in a lot. Lists, lists, I love lists! I can’t say I was overly shocked when Syracuse lost to South Carolina (neutral) and Wisconsin (road) in late November. But I was quite surprised to see them blow a nine-point second-half lead against UConn to lose on Monday in Madison Square Garden. The final score was, 52–50, and the game was even uglier than that. The biggest thing this team needs is more time. Jim Boeheim has some new pieces to integrate, most notably his two graduate transfers Andrew White, the 6' 7" guard who is team’s leading scorer, and John Gillon, a 6-foot guard. He also has returning players in new roles, such as sophomore point guard Frank Howard, who played just 10.5 minutes per game last year. So it’s no wonder why the offense, which currently ranks 56th in the nation in adjusted efficiency, looks so discombobulated at times. 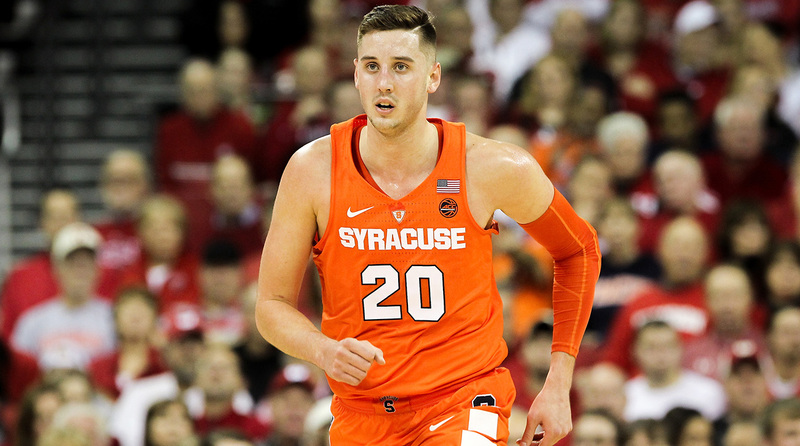 Other than that, my main prescription for Syracuse is to make Tyler Lydon a bigger focal point. I don’t know whether Lydon isn’t doing enough to demand the ball, or his teammates are not doing a good enough job of getting him the ball. I suspect it’s a combo of both. Lydon was a total non-factor down the stretch against UConn. He finished with seven points on 1 for 7 shooting. I think the 6’9” sophomore has great potential. He is a legitimate stretch four who can score inside and out, and by the end of last season he had emerged as a bona fide rim protector and rebounder in the back of that zone. Even if Lydon isn’t scoring, he is helping the offense by getting touches in the post. He needs to butter his bread down there first, then he can step out and use his perimeter skills. As he gets more confident, and as the other players figure out better ways to exploit his skills, then Syracuse will get better, and fast.